We enlisted MSI’s Afterburner utility for this project. Afterburner is built upon the Riva Tuner engine, which has been in development for ages. The “Riva” in its name actually alludes to one of Nvidia’s early graphics processors that predates the GeForce brand by many years. Using Afterburner is simple and straightforward: Download the utility from MSI’s website, install it, and you’re basically ready to go. When the utility is initially launched, it will scan your system and determine if you’re using a compatible graphics card. You most likely are—unlike many overclocking tools, Afterburner works with multiple generations of GeForce and Radeon GPUs from any graphics card manufacturers. 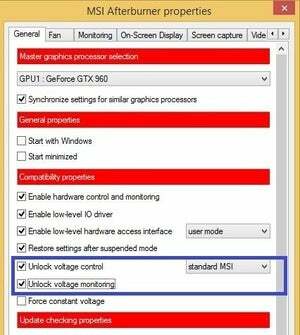 You’ll need to manually unlock voltage controls and monitoring in MSI Afterburner in order to tweak it. When ready, Afterburner will present you with an elaborate interface, featuring a few sliders for altering power targets, fan curves, GPU and memory frequencies, and current clock and temperature data. 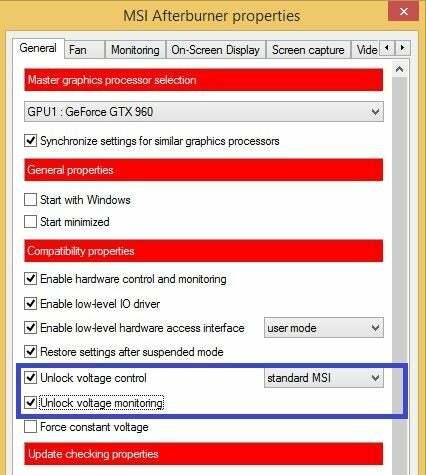 There's also a voltage slider for tweaking GPU voltages, but that is disabled by default. To enable it, you must enter the Afterburner advanced properties menu by clicking the gear icon visible in the middle of the interface and ticking the boxes to unlock voltage control and monitoring. For basic overclocking, we wouldn’t recommend messing around with voltages. Pump too much voltage into a GPU and you could damage it irreparably. Minor voltage bumps—say in the 1- to 2-millivolt range—are usually safe, but even then there are no guarantees. Before you start overclocking your graphics card, run some benchmarks to get a baseline for your unaltered system. We recommend Unigine’s Heaven or Valley benchmarking tools. You can also run some in-game benchmarks if you’d like—all of the games tested in PCWorld’s massive roundup of GeForce and Radeon GPUs include automated in-game benchmarks that make capturing repeatable data easy. 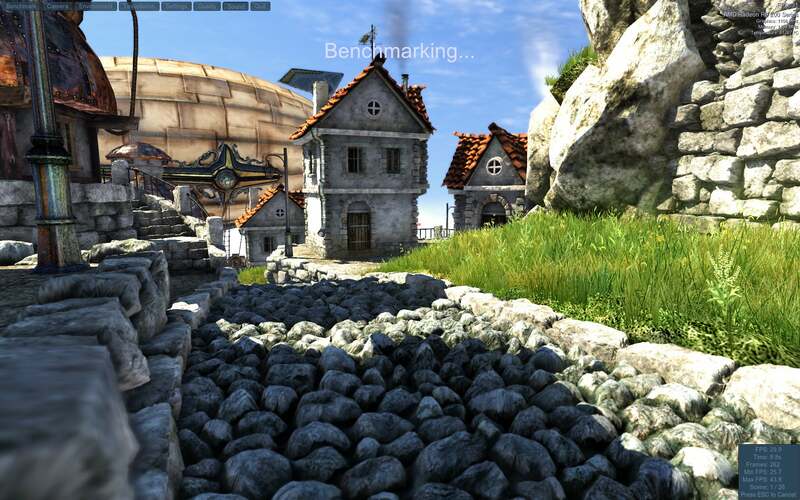 Graphically rich benchmarks like Unigine Heaven, which loops GPU intensive workloads and reports clocks and temperatures, can be useful for testing the stability and performance of an overclocked graphics card. To use MSI Afterburner to overclock your graphics card, launch the utility and first crank up the power and temperature limits, though you may only be able to increase the power limit on a Radeon graphics card. A boost of 10% on the power target and a maximum temperature limit in the low- to mid-90’s Celsius should work for most cards. If you’re extremely risk-averse, you could leave both settings alone and continue with the process using the stock voltage and temperature settings, though that leaves potential performance on the table. During the actual process of overclocking your graphics card, we recommend altering the GPU and memory clocks individually to isolate any possible instability. Start slowly, increasing the core GPU clock frequency by 10MHz at a time. After you bump it up 10MHz, save the changes, then fire up the Heaven or Valley benchmark and look for system instability or graphical errors—odd color blobs, sparkling flashes of light, or other visual artifacts. If all looks good, bump the card up another 10MHz and repeat the process. Once you notice artifacts, dial it back a bit until they disappear. Jot down the final peak clock speed and reset it back to standard. Now do the same for your graphics card’s memory clock speed. 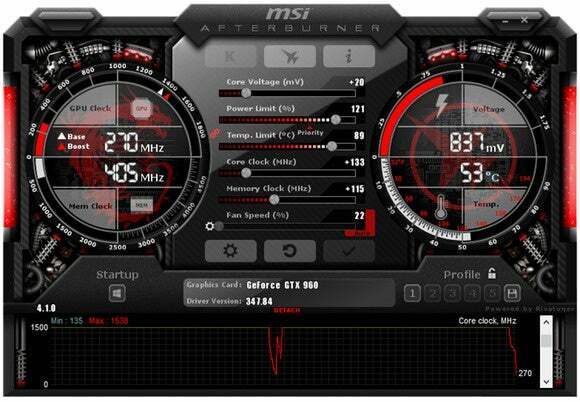 Overclocking a graphics card is as easy as ticking a couple of boxes and moving a few sliders in the MSI Afterburner utility. Once you know the peak frequency for both, set the GPU and memory to those speeds simultaneously and test for stability once again. If everything seems to be working well, go ahead and enjoy the fruits of your labor! If, however, your system has become unstable or you’re seeing weird visual artifacts, back the frequencies down a few MHz for both, and test for stability or visual artifacts again. If your system remains stable while overclocked, but performance actually decreases, reduce the GPU and memory frequencies until performance begins to scale properly. 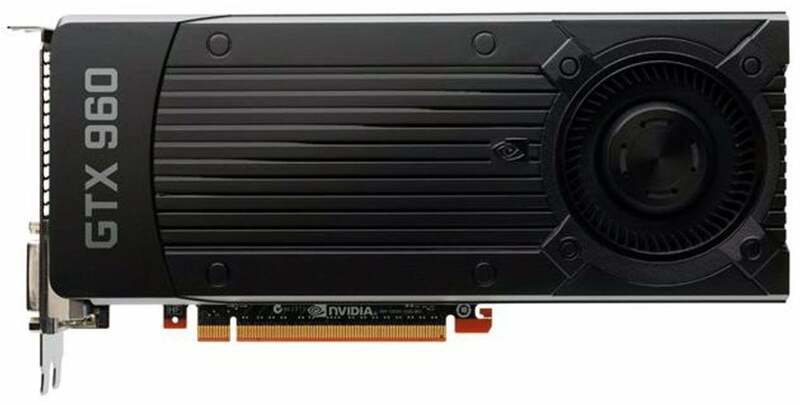 Overclocking a current-generation Nvidia GeForce GTX graphics card requires more tweaking and monitoring than previous products, for instance. that's mostly due to the automatic performance-tuning capabilities associated with Nvidia’s GPU Boost, which dynamically increases the graphics card’s clock speed until it hits a certain temperature. Newer Nvidia GeForce cards can take more tinkering when overclocking than older ones. Overclocking can get complicated, as you juggle all the variables. In addition to manipulating the power and GPU temperature targets, frequency offset values are used to further compound the clock speed increases that already come by way of GPU Boost. You’ll occasionally find that increasing a certain clock frequency (or voltage) may seem to have worked properly, but performance actually decreases due to errors or throttling. You may also find that the actual GPU Boost clock may shoot above or below the designated offset value when the power and/or temperature targets are also increased. If you run into an issue overclocking an Nvidia GeForce card with GPU Boost, you’ll just have to play with it until it’s (safely) worked out. The latest Radeon-based graphics cards give users the ability to alter power limits as well, but their clock frequency adjustments are more absolute. In other words, the GPU (or memory) will specifically target whatever clock speed you specify. We saw measurable performance gains from both of the graphics cards we overclocked for this project. The AMD Radeon R9 285 showed the biggest in-game performance increases, but the Nvidia GeForce GTX 960 saw the largest clock speed boost in sheer frequency gain. We tested the cards in an Intel Core i7-4960X powered system with 16GB of RAM, running Windows 8.1 Pro x64 and the latest drivers for each card. All tests were run at 1920x1200 resolution, with max image quality settings, and 4x anti-aliasing enabled. The Nvidia GeForce GTX 960 we overclocked. To give you some concrete examples, Nvidia recommends a GPU boost clock of 1126MHz on the GeForce GTX 960. Factory overclocked cards usually boost into the 1300-1400MHz range. Simply by increasing the power and temperature targets in Afterburner, however, the card’s GPU frequency regularly boosted into the 1450MHz range. Increasing the frequency offset and the GPU voltage resulted in an impressive 1538MHz peak GPU boost frequency. We also took the on-board memory up from 1752MHz to 1810MHz. 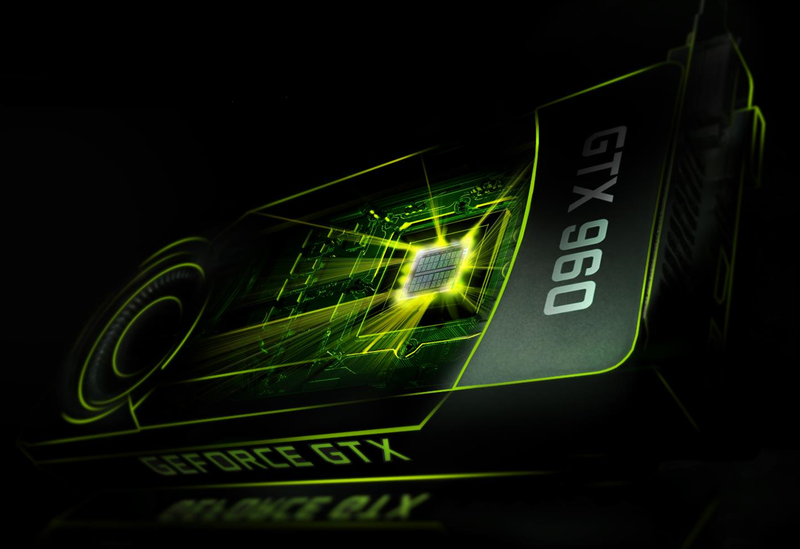 While overclocked, the performance of our GeForce GTX 960 increased measurably, though not majorly. The card’s score in the Unigine Heaven benchmark, for example, increased from 916 (18 fps min., 36.2 fps average) to 946 (18.7 fps min., 37.1 fps average). Frame rates in BioShock Infinite and Sleeping Dogs jumped from 69.2 to 75.16, and 40.9 to 44.1 fps, respectively. With that increased performance also came higher power consumption, however. In its stock configuration, our test system pulled about 224 watts from the outlet under load, but that number went up to 246 watts after our tinkering. 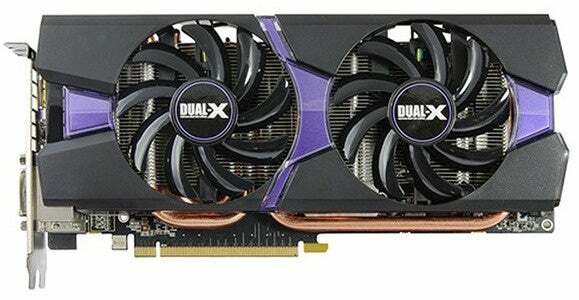 The AMD Radeon R9 285 we overclocked. The Radeon R9 285’s performance increased more dramatically while overclocked. We took the card’s GPU clock up from its stock frequency of 918MHz up to 1106MHz, and its memory from 1375MHz up to 1494MHz. In the Unigine Heaven benchmark, the Radeon’s score jumped from 938 (17.2 fps min., 37.2 fps average) to 1029 (18.3 fps min., 40.9 average). BioShock’s framerate increased from 72.51 to 79.34, and Sleeping Dog’s framerate went from 42.8 to 47.6—roughly a 10-percent increase in each game. Like the GeForce, power consumption went up quite a bit with the Radeon overclocked. Our test system pulled 354 watts from the wall with the Radeon R9 285 overclocked. At stock settings, it only pulled 304 watts. Ultimately, there is performance to be gained by overclocking, but that additional performance will typically result in higher temperatures and increased power consumption. If a few tweaks smooth out your favorite game’s framerates, however, it’s probably worthwhile endeavor. Keeping temperatures in check and altering a graphics card’s clocks shouldn’t be much of an issue. Altering voltages can reduce the lifespan of the card, but the exact amount will vary from GPU to GPU. Just know what you’re getting into before you start, and let the faster games begin!